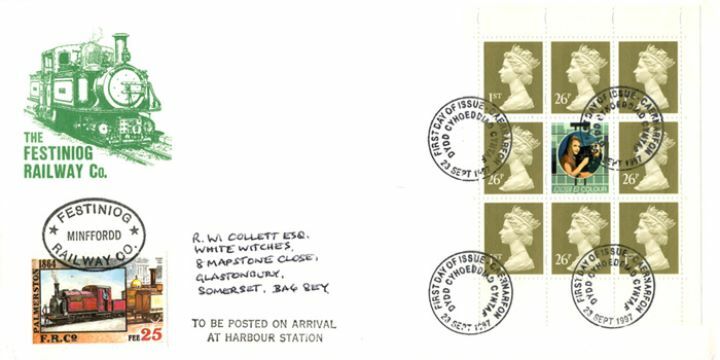 Notes: Rare cover design with additional Railway Letter stamps and postmarks. The above Royal Mail PSB: BBC - Pane 2 stamps were issued on 23 September 1997 by Royal Mail and feature the following stamp designs: . The Festiniog Railway first day cover with the Caernarfon FDI Postmark postmark has been produced by Festiniog Railway Company and features these stamps which can make a very collectible and lovely gift.